If you’re in a state where growing your own cannabis is legal, you’ve likely considered cultivating your own marijuana. In fact, the National Gardening Survey found that, if growing marijuana was legal, 15 percent of U.S. households would give home growing a try. However, growing cannabis at home does have its challenges. Cannabis has a very strong odor that can draw the ire of neighbors and marijuana plants may attract pests like mites and gnats. But, like growing your own little home garden of herbs, tomatoes, and leafy greens, growing cannabis can be a very relaxing and rewarding hobby. Even more, if you’re a medical marijuana patient who needs regular access to the plant, growing your own can have several tangible benefits. 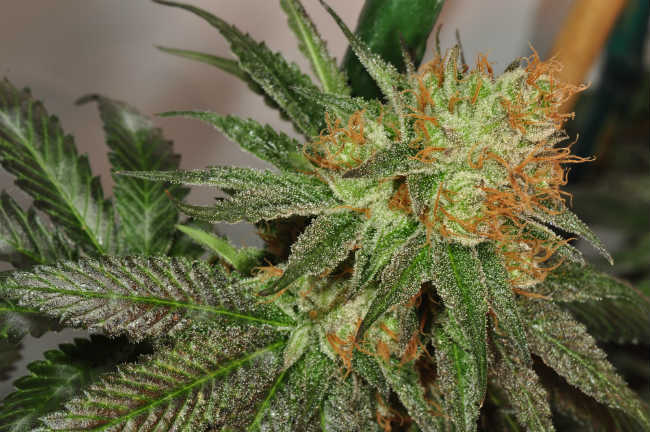 Here are a few reasons to grow your own cannabis at home. Once you purchase some initial start-up items, money that you would have spent at a dispensary can now go back into your pocket. When purchasing cannabis at a dispensary, you pay for a specific amount of product. Generally, an ounce of cannabis can cost anywhere between $100 and $400, depending on the strain and what state you’re in. Growing cannabis at home can be much more cost effective than shopping at a dispensary. Be sure to factor in some extra money for increases in electricity and water bills, and you could – after about a ten week flower time – decrease your cost per ounce to around $60. This is, of course, only an estimation. Your actual calculated costs will vary by what kind of strain you want to grow and how much you will need, but the savings are clear. And since insurance companies are not required to cover medical marijuana, growing your own could be a smart long-term solution and a financial life saver. For many medical marijuana patients, running out of cannabis is simply not an option. Therefore, it’s important to have options if your favorite dispensary is out of a specific product you need. Better yet, by growing cannabis at home, patients (and recreational consumers, too) can rely less on dispensaries and take control of their own supply. For patients, this might even mean better control of their health as quality control can be monitored directly. When it comes to how much of a yield one can expect from a home grow, a lot of variables are in play; like indoor vs. outdoor grows, hydroponics vs. coco, whether the plants were affected by mold, pests, etc. To learn more about how to have a successful grow, check out our Beginner’s Guide to Growing Marijuana. In most places where cannabis is legal, there is a set plant count that cannot be exceeded. Some states like Colorado allow for six plants to be grown recreationally or medically, with three flowering at any given time – plus, there are extended plant count options for medical patients who need more than 6 plants. In Vermont, which passed cannabis legalization via the legislative route, the law is grow your own only, and Vermonters can have two mature and four immature plants at any given time. Every state that allows at-home cultivation has laws surrounding plant count so be sure you know the limits before starting up a grow. For many medical cannabis patients who are very ill, the thought of venturing out to a dispensary, which could be many miles away, can feel like an exhausting undertaking. Double that for those without reliable transportation. Or perhaps the patient is homebound, and is unable to pick up their medicine. When you grow your medicine at home, it is simply there. Having cannabis sourced from your own home is extremely convenient. Some medical marijuana patients are not healthy enough to tend to their own grows, in which case, they may want to consider a registered caregiver. Not every state, but many, have laws that allow for a registered caregiver the ability to possess, cultivate, transport, transfer, and deliver to qualifying patients. Each state has different laws around caregivers, so be sure to check out the regulations in your home state beforehand. Just recently, in Canada’s newly-recreational market, customers complained of moldy buds, resulting in a recall of a particular batch of products. For most people in good health, smoking moldy weed may pass unnoticed (however it should be avoided at all costs). But for those with compromised health and immune systems, moldy cannabis may present a health setback and result in lung infections. With an industry moving toward mass production, large scale farming techniques involving pesticides and other chemicals are becoming more and more normal. But when you grow your own, you are in charge of your own quality control. You will know exactly what went into the growing of the plant and just what to expect with the final product. At the end of the day, the benefits of growing your own cannabis at home are undeniable. From reduced costs and a steady supply all the way down to cleaner, higher quality products, at-home cultivation is something every medical cannabis patient should strongly consider. Do you grow your own cannabis? If so, what do you think the key benefits to home-growing are?